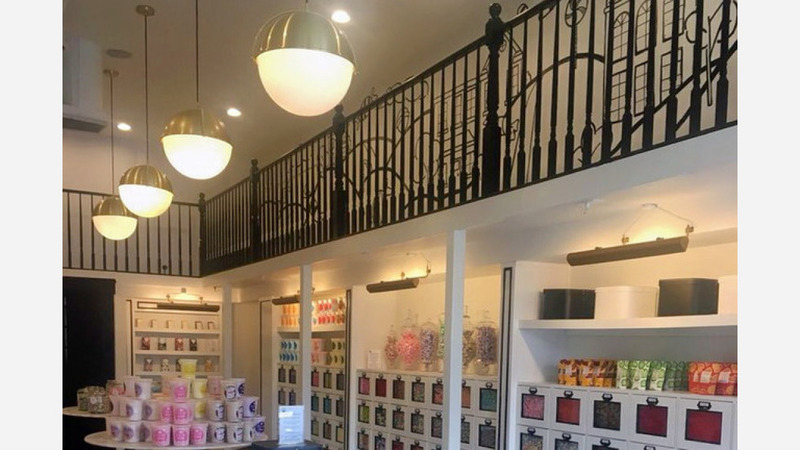 A new boutique candy store has opened its doors in the neighborhood. The new addition to Los Feliz, called Tuesday's Sweet Shoppe, is located at 1937 1/2 Hillhurst Ave. The family-owned spot comes courtesy of Michael and Emily Roiff, the store says on its website, along with Emily's brother Alan and the candy shop's petite namesake -- Roiff's 3-year old daughter, Tuesday. Over 170 candy varieties are on offer, with options ranging from chocolates and saltwater taffy to sour rings and cotton candy by the bucket. With a 4.5-star rating out of five reviews on Yelp so far, the new candy store seems to be a welcome addition to the neighborhood. Mariana P., who reviewed the new shop on July 1, wrote, "The nostalgic scoop candy shop of my dreams! ... Now I can fill a bag with a tangy tangle of sour belts from the impressive array of flavors, neatly stowed in pristine clean beautiful drawers -- great design!" "Oh man, this is the best candy shop I've ever been to," stated Yelper Kara B. "It's so happy inside and there are so many amazing options! Make sure you try the chocolate-covered gummy bears." Swing on by to take a peek for yourself: Tuesday's Sweet Shoppe is open from 11 a.m.-7 p.m. on Monday-Thursday, 11 a.m.-9 p.m. on Friday and Saturday, and 10 a.m.-6 p.m. on Sunday.